"Dr. Hitchins and her staff are top notch. Look no further." "My wife and I both come here and we both highly recommend Dermatology Center of NWH." "So grateful I came across Dermatology Center of NWH while searching for a dermatologist." "Absolutely Love Dr. Hitchins and her entire staff." "Dr. Hitchins is great. She makes you feel very comfortable. Highly recommended!" "I would highly recommend that you see Dr. Lisa Hitchins!" Lisa Hitchins, MD is a board-certified dermatologist who believes in creating the healthiest skin possible for each woman, man, and child she treats at Dermatology Center of Northwest Houston in Cypress, Texas. Dr. Hitchins combines hands-on, compassionate care with cutting-edge technologies, minimally invasive surgeries, and the latest advances in skincare and anti-aging treatments. She has a particular passion for helping you learn more about your skin so that you can keep it healthy, clear, and radiant at every stage of life. A Houston native, Dr. Hitchins began her medical education at Texas A&M University. She earned her MD at Tulane University in New Orleans, Louisiana. While at Tulane, she underwent intensive training in diagnosing and treating psoriasis, eczema, acne, warts, and skin cancer. Dr. Hitchins supplemented her studies in medical dermatology by working with renowned professors who specialize in cosmetics and cosmetic dermatology. Dr. Hitchins firmly believes in treating you like a member of her own family. 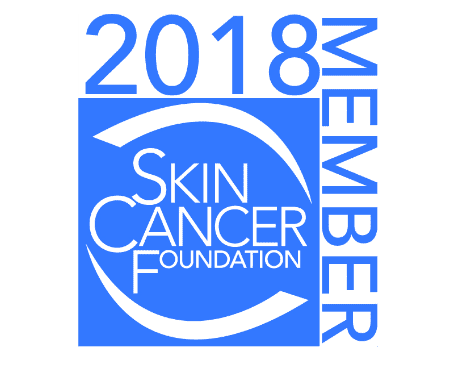 Besides helping you clear troublesome conditions, she offers skin screenings and teaches you how to protect yourself from skin cancer and other skin issues. She also provides several cosmetic dermatologic solutions, ranging from smoothing wrinkles with Botox to removing veins with sclerotherapy. When she isn’t creating glowing complexions at Dermatology Center of Northwest Houston, Dr. Hitchins enjoys working on a tractor and raising three red-headed girls. "As far as dermatology appointments go, I had a great experience. I was referred by 2 co-workers and have since referred several friends and family members to her." "I love Dr. Lisa Hitchins. She is a gem in cypress! I recommend her to friends and family and anyone looking for the best dermatologist around." "I love Dr. Hitchins. She is completely professional and thorough, while also being friendly and personable. I moved from the Cypress area and still make the drive out." "If you need a dermatologist, it would be hard for you to find a better one. Dr. Hitchins and her entire staff are friendly and efficient." "Dr. Lisa is so personable and she always makes me forget I'm actually at a doctor appointment!" "The environment at Dr. Hitchins’s office is complete with a warm welcome and a friendly staff. I would highly recommend that you see Dr. Lisa Hitchins!"